After breakfast, we will visit Istanbul for a full day. 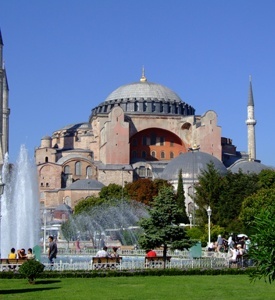 We begin our tour from the Sultanahmet district, the heart of old Istanbul at Agia Sophia. Built by Emperor Justinian in the 6th century AD this church is one of the marvels of world architecture. Its massive dome dominates the skyline of old Istanbul. It is famed for its mosaics, including glittering portraits of emperors and empresses (closed on Mondays). Next, we visit the Blue Mosque, which owes its name to the exquisite tiles adorning its interior. Dating from the 17th century, it is the only imperial Mosque with six minarets. The Hippodrome, the stadium of ancient Byzantium, held 100.000 spectators and featured objects from all corners of the empire. The Grand Bazaar was the commercial heart of the old city and its 4.000 shops are full of treasures – including carpets and kilims, silks, jewellery, ceramics, icons and leather goods (Closed on Sundays). Lunch in a local restaurant and continuation of our tour. Our afternoon will begin at Topkapi Palace which, from the 15th to 19th century, was the principal residence of the Ottoman Sultans (closed on Tuesdays). 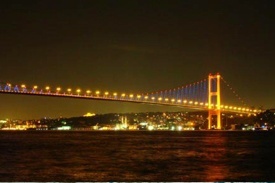 In the morning, transfer to the airport to fly to Ankara. Arrival in Ankara, the Turkish capital and then to the city to visit the Museum of Anatolian Civilizations, which has a rich collection of findings from Asia Minor, mainly the Hittites. Then we will visit the Mausoleum of Kemal Ataturk (founder of modern Turkey). Lunch and continuation of the trip to Cappadocia passing by the Salt Lake. Dinner and accommodation. 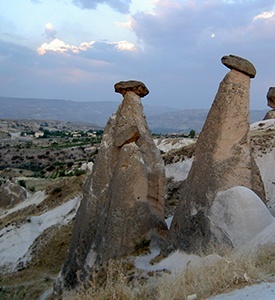 We will visit the spectacular region of Cappadocia, unique for its fascinating and unique landscape formed by the lava thrown by the volcanoes Erciyes and Hasan, 3 million years ago. 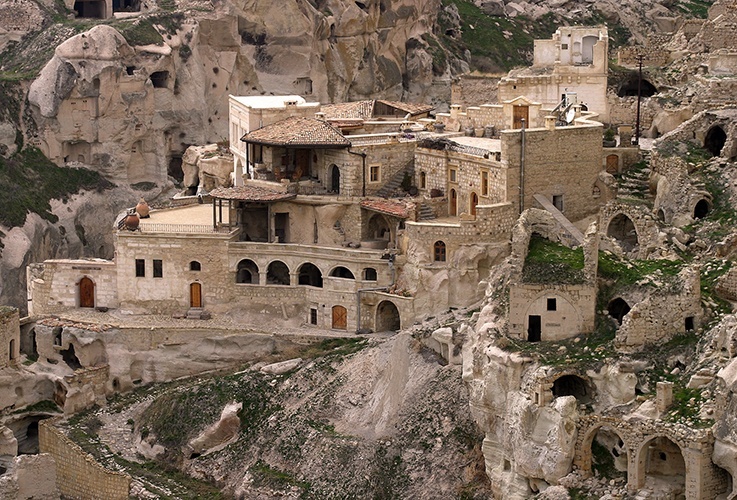 Visit the numerous monasteries and chapels of Goreme, a World Heritage Site by UNESCO, excavated in the rock and decorated with frescoes of the tenth century (some of them very well preserved). Pass and enjoy a panoramic view of Uchisar Castle on top of a mound of volcanic rock traversed by tunnels and windows and Avcilar Valley. Lunch and in the afternoon, visit the town of Avanos, famous for its crafts and valleys and Góvercinlik Valley (Valley of the Doves). Visit the underground city of Kaymakli or Serhatli, one of the 36 underground cities of Cappadocia served as a refuge for Christians. Return to the hotel and dinner. Early departure to Konya, capital of the Sultans of Seljuk in the 11th century. Visit of the Caravansarai of Sultanhan, where they used to stop camel caravans on the silk route. 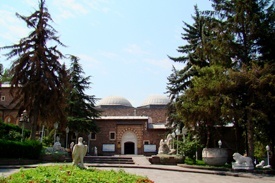 Visit of the Mevlana Mausoleum, poet and philosopher who founded the mystical and religious sect of the Dervishes Dancing. 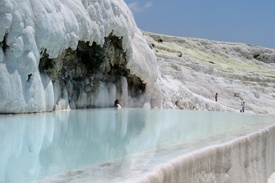 Pamukkale is a beautiful and spectacular natural site, unique in the world with its dazzling waterfalls of white and petrified lime. There you will see the thermal water loaded with calcareous salt, descending the slope that has created this natural formation of stalactites, waterfalls and basins. Thermal water has been used since Roman times for its therapeutic powers. Next, you will visit the Roman city of Hierapolis, which is located neither on the ground nor in the rock, but in solid limestone layers formed by limestone water that flowed for centuries on this high-level plateau. The name means “sacred city”, and according to Stephanus of Byzantium, the city received this name due to a large number of temples it contained. After that, you will visit the ruins of the necropolis and the Roman Baths. Continue to Aphrodisias and after lunch visit this ancient Greco-Roman city, dedicated to the Goddess of Aphrodite Love. Departure for Kusadasi and Ephesus. Drive to Meryemana and visit the House of the Virgin Mary, where you spent the last days of your life. Authenticated by Pope Paul VI in 1967, the cabin is a place of pilgrimage for many believers. After lunch, continue to Ephesus, the Roman capital in Asia Minor. 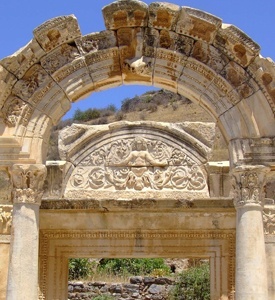 The ancient city of Ephesus was an important centre for early Christianity. In the book of Revelation, Ephesus was one of the seven churches to which Christ addressed himself in a vision. This is where you’ll find the Temple of Artemis, considered one of the Seven Wonders of the Ancient World. Upon arrival, transfer to your hotel for the night.